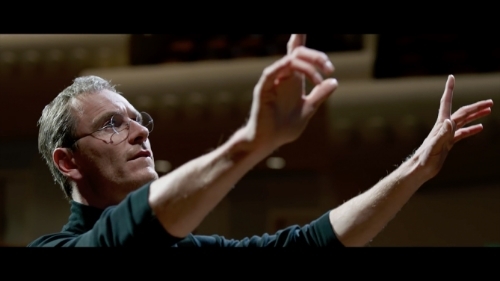 In a year that will be seen as one of the biggest for film, Steve Jobs was able to catch my eye very early on in its development, and easily became one of my most anticipated films for the year. I mean, how could a film about such an intriguing and iconic person, a film written by Aaron Sorkin, and directed by Danny Boyle not be absolutely spectacular? Yet, the film felt like a complete train wreck. The slice-of-life 3 act structure that the film went for was not appealing. It depended on the audience caring about Jobs’ relationships with people in his life, but failed to give the audience any reason to care. This resulted in the audience being completely disengaged from the film all together. A film about an intriguing man must be intriguing as well right? The structure of the film was very unique in that it did not cover the life of its subject. Typically, films of this genre do so by showing key events throughout the person’s entire life that crafted them into who they are. Instead, the film condenses Jobs’ life into three 40-minute intervals that all take place as Jobs is prepping to unveil a new product. At each event, the audience is given a synopsis of the status of his relationships with the same 4 people: his friend Steve Wozniak, his colleague John Sculley, his marketing executive Joanna Hoffman, and most importantly, his daughter Lisa. The three days shown in the course of the film are separated by a period of 15 years, so the dynamics of each relationship shift tremendously. This permits the characters to change easily, without the need for specific events to occur to justify them changing. Yet, that does not guarantee that the audience will care about the characters just because they are dynamic. The arguments that exist between the characters do not have any weight on the audience because the audience is just thrown into each argument instead of being shown how the characters have developed over the course of their life in order to feel and act the way that they do. There are brief flashbacks throughout the film that attempt to provide a back story, but they are too short to add depth to the characters, so the audience can’t really grasp the magnitude of the events on screen. While the film ultimately failed, it is a good thing for cinema that the film was released. Every waking moment, Hollywood is becoming more and more formulaic because studios are afraid to deviate from the norm, out of fear of losing money. Miraculously, in this current state, Steve Jobs was still somehow able to completely deviate away from the traditional biopic structure and be released. This is good because if studios are willing to still take risks this big, there is the hope that maybe one film will find a way to completely redefine an entire genre in a positive way, which almost happened with this film. While overall the story was not engaging in the slightest, the acting performances were phenomenal; the actors were pressured into truly understanding their characters because so much of the film relied on character portrayal. In fact, if it wasn’t for how well each actor portrayed his or her character, I may not have been able to sit through the whole film. I think that in the future, this structure could be very successful because it delivers brilliant performances, but it needs to be modified a tad more to include some of the common conventions that we find in the biopic genre. This would help with defining the story better, allowing for a beautiful combination of story and characters to create a new style of biopics that make the audience feel like they are experiencing the lives of the film’s subjects. In conclusion, the structure of Steve Jobs is revolutionary, but not refined enough to allow for the audience to appreciate what is going on within the film. 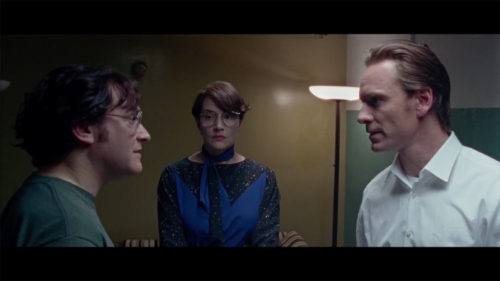 The conflicts within each relationship throughout the film feel meaningless, as the audience does not truly understand why they are so impactful to the characters in the film. While the film has the possibility to help usher in change for cinema, there is no real reward for the audience after watching the film. Therefore, Steve Jobs only receives 1 out of 5 Reels from Celluloid Cinema. For those of you that have seen the film, I am curious about if the structure worked for you. Please vote in the poll and comment below. Thank you for reading Celluloid Cinema! How many Reels would you give Steve Jobs? Did the 3 act structure work for you?